March brings awareness for Brain Injury, Colorectoral Cancer, Women’s History, Music In Our Schools and a whole lot more wonderful causes and health initiative campaigns. 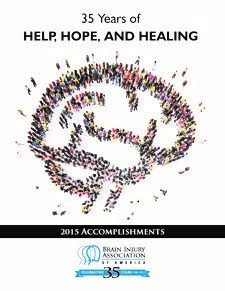 The Brain Injury Association of America (BIAA) leads the nation in observing the month by conducting an awareness campaign in March each year. The theme for the 2015 to 2017 campaign is: Not Alone. The Not Alone campaign provides a platform for educating the general public about the incidence of brain injury and the needs of people with brain injuries and their families. The campaign also acts as an outreach platform within the brain injury community to de-stigmatize the injury, empower those who have survived, and promote the many types of support that are available. In February 2000, President Clinton officially dedicated March as National Colorectal Cancer Awareness Month. Since then, it has grown to be a true rallying point for the colon cancer community. Every year, thousands of patients, survivors, caregivers and advocates throughout the country join together to spread colon cancer awareness by wearing blue, holding fundraising and education events, talking to friends and family about screening and so much more. See photos from years past and learn how you can get involved this March! Visit the Colon Cancer Alliance website to learn more . The Colon Cancer Alliance’s mission is to knock colon cancer out of the top three cancer killers. We are doing this by championing prevention, funding cutting-edge research and providing the highest quality patient support services. Did you know that Colon cancer is highly preventable, but only some people are taking the step to get screened. Screening can save your life, so it’s very important that you get checked and let others know they need to, too. 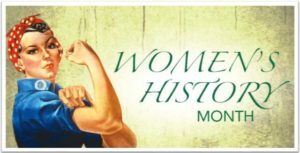 Women’s History Month 2017 celebrates women and their accomplishments. Their tagline is “writing women back into history.” This year’s theme: “Honoring Trailblazing Women in Labor and Business.” While the concept began in the 1970s, it wasn’t until 1980 when Presi dent Jimmy Carter declared a proclamation. By 1987, the advocacy efforts came to fruition when Congress declared March as National Women’s History Month in perpetuity. A special Presidential Proclamation is issued every year which honors the extraordinary achievements of American women. Mark your calendars for March 8th which is the annual International Day of the Woman. March also brings us Music In Our Schools Month (MIOSM®), a music education campaign. 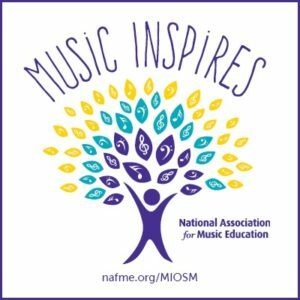 This is the National Association for Music Education’s (NAfME) annual celebration which engages music educators, students and communities from around the country in promoting the benefits of high quality music education programs in schools. At a time when funding for the arts and school funding for arts programs looms large, advocacy initiatives like MIOSM could not be more important than now. Ways to get involved: change your profile picture during the month of March. Share photos of how ‘Music Inspires’ you and if you’re a teacher, share how music inspires your students on Instagram using ‪#‎MIOSM and #MusicInspires and tag @NAfME.